EastWest Insurance Brokerage Inc. (EWIB), the newly formed, wholly owned insurance brokerage subsidiary of EastWest Bank (EastWest), recently received from the Insurance Commission its insurance broker’s license for life and nonlife insurance products. This completes the regulatory approvals needed for EastWest to start its insurance brokerage undertaking. The creation of its wholly owned insurance brokerage unit was approved by the bank during its annual stockholders’ meeting held in April. Subsequently, the bank secured Bangko Sentral ng Pilipinas’s nod for its P500-million initial equity investment in EWIB in June, followed by Security and Exchange Commission’s issuance of EWIB’s incorporation certificate in July. EWIB President Peter Roy R. Locsin, a seasoned insurance executive with over three decades of experience in the industry, was tasked to set up and make EWIB a strategic business unit of the bank. Locsin said EWIB would make insurance protection readily accessible and claims processing less complicated for both the bank’s corporate and retail clients. “Unlike third-party insurance brokers, EWIB can assure its customers of dedicated service that will translate to affordable premiums, better coverage and convenience for them. In turn, the insurance brokerage undertaking will create more synergies with the bank’s clients and suppliers and enhance the bank’s fee based income,” he said. Finance Secretary Cesar V. Purisima on Thursday said private banks should share among themselves and with the government their database on the credit standing of their clients, as part of a consolidated body of information sought under a unified credit-information system for the Philippines. At the launching of the Financial Infrastructure Development Network (FIDN), Purisima said the establishment of a credit-information system will help cut so-called lending risks on entities that have no credit standing, most of whom need access to capital for expansion, such as micro, small and medium-sized enterprises (MSMEs). The government-owned and -controlled Credit Information Corp. (CIC), way back in 2008, was mandated to come up with a national credit-information system, but the private banks have not been sharing the credit-information database they have that will give substance to the CIC. Purisima said the establishment of a credit-information system is crucial to the government’s program for inclusive growth, because the bulk of the economy is made up of MSMEs that typically have no access to credit as the banks are unwilling to take the risk in the absence of a guarantee or acceptable collateral. The situation is true for most other emerging economies in the Asia-Pacific region, as MSMEs contribute to over 60 percent of total employment, over 40 percent of the GDP, and over 15 percent of total exports among the 21 member-economies of the Asia-Pacific Economic Cooperation (Apec). “The challenge is to encourage the private banks to share their database with us and among themselves, so that we can all give the lenders the information on MSMEs. In this way, the risks can be minimized and it will be more viable for banks to reach out to them,” Purisima said. Purisima cited a $840-billion financing gap within Apec countries that could easily be met if MSMEs were given access to capital. He said the MSMEs own an estimated $9 trillion worth of “dead capital,” or assets they cannot use as capital because these are not accepted as collateral by the banks. Purisima said the FIDN will come up with measures as the establishment of a more comprehensive property registry so that lenders feel more secure in extending loans even if the collateral consists of personal property instead of real property. The government push for a credit-information system is supported by the International Finance Corp. (IFC), which is part of the World Bank Group. “The establishment of comprehensive credit-information system, and modern secured transactions and movable asset-finance system will help MSMEs improve access to finance, and, therefore, contribute to a more competitive and sustainable economy,” said Yuan Xu, IFC Philippines country manager. The FIDN was established to provide a forum for government and the private sector to discuss and put into place measures that will make financial services more accessible to the Asia-Pacific region, particularly to MSMEs that make up the bulk of the region’s economy. A new form of crowdfunding is coming soon that will allow startups to raise money by selling stock to Main Street investors. The Securities and Exchange Commission (SEC) on Friday adopted rules implementing a 2012 law that opened the door to securities crowdfunding. The vote was 3-1 at a public meeting. For years, artists, charities and entrepreneurs have used the power of the Internet to generate money for projects. Starting in mid-2016, businesses will be able to offer investors a piece of their company by legally selling stock online. For investors, it’s a chance to make a small profit and possibly get in early on the next Twitter, Instagram or Uber. But it also entails high risk, given that a majority of start-ups fail. About half of all small businesses shut down within the first five years. Some critics also warn that investment crowdfunding is ripe for fraud. The new SEC rules won’t prevent the types of fraud that can arise in conventional online scams, said Mercer Bullard, a law professor at the University of Mississippi who is a mutual-fund investor advocate. “You can embezzle someone’s money in the guise of making a securities offering,” Bullard said in a telephone interview. With an eye to protecting investors, the crowdfunding securities offerings can only be made through brokerage firms or new Internet-funding portals that must be registered with the SEC. The portals will be expected to provide investors with materials explaining the process, investment limits and resale restrictions. 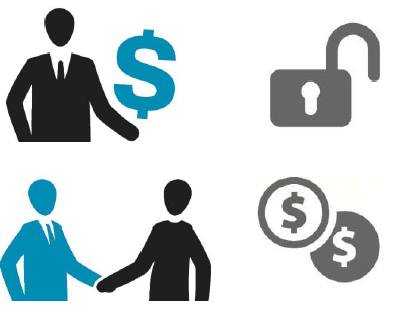 To reduce fraud risks, the portals are charged with vetting the companies and the prospective investors. SEC Chairman Mary Jo White said before the vote that agency staff “will begin immediately to keep a watchful eye on how this market develops.” They will assess what kinds of companies use the new crowdfunding offerings, how closely they follow the rules and whether the new practice promotes the raising of capital while also protecting investors. The SEC proposed the crowdfunding rules two years ago. Waiting at the starting gate for the final rules to take effect: legions of start-ups in areas such as packaged food, medical and biotechnology, restaurants and real estate. Lisa Fetterman, the founder and CEO of cooking equipment start-up Nomiku, sees a potential opportunity—“because banks aren’t going to give you money,” she said. The company sells machines for sous-vide cooking, a sort of vacuum method meant to cook evenly and seal in moisture, to both home cooks and restaurants. Nomiku has raised about $1.3 million in the past few years through conventional crowdfunding on Kickstarter. Now with SEC rule change, Fetterman sees about a 50-50 chance her company will plunge into investment crowdfunding. Key factors are the quality of funding portals and the extent to which they can vet investors, she said. Under the new rules, people with annual income, or net worth less than $100,000, will be allowed to invest a maximum of 5 percent of their yearly income or net worth, or $2,000 if that is greater. Those with higher incomes can invest up to 10 percent. An individual can’t invest a total of more than $100,000 in all crowdfunding offerings during a 12-month period. Investors generally couldn’t resell their crowdfunding securities for one year. Under current rules, only “accredited investors” who meet certain wealth thresholds can fund startups. They must either have a net worth of $1 million, excluding the value of their primary home, or have generated income of $200,000 or more in each of the last two years. For their part, companies will be allowed to raise a maximum of $1 million a year from individual investors without registering with the SEC. Companies will have to provide information to investors about their business plan and how they will use the money they raise, as well as a list of their officers, directors and those who own at least 20 percent of the company. Raising money for startups “is like fishing in a pond. You have more pond to fish in now,” said Hitomi Kimura, a co-founder of DinersCode, which sends customers to Manhattan restaurants by offering free drinks, perks and discounts for frequent diners. Kimura also will be looking into the new crowdfunding. Indiegogo, a titan of conventional crowdfunding along with Kickstarter, may branch out and get into the securities crowdfunding game. The goal of the 2012 law was to help entrepreneurs raise money quickly when they couldn’t attract attention from venture capitalists or traditional deep-pocketed investors. At the same time, the law eased the SEC’s regulatory reach by giving the startups an exemption from filing rules. The rationale was that new businesses in a hurry to raise money would be hampered by having to submit paperwork. It was an about-face for Congress after expanding the SEC’s powers only two years earlier in response to the 2008 financial crisis. SEVEN years after the collapse of Lehman Brothers jolted the global economy, the world’s biggest banks may need to raise as much as $1.2 trillion to meet new rules laid down by financial regulators. After years of work, the Financial Stability Board (FSB), created by the Group of 20 (G-20) nations in the aftermath of the crisis, published its plan for making sure giant lenders can be wound down and recapitalized in an orderly way, without taxpayer bailouts. Under the rule for total loss-absorbing capacity (TLAC), most systemically important banks must have liabilities and instruments “readily available for bail in” equivalent to at least 16 percent of risk-weighted assets in 2019, rising to 18 percent in 2022, the FSB said on Monday. A leverage ratio requirement will also be imposed, rising from 6 percent initially to 6.75 percent. The banks’ shortfall under the 18-percent measure ranges from €457 billion to €1.1 trillion ($1.2 trillion), depending on the instruments considered, according to the FSB. The push to make sure banks are no longer too big to fail is also advancing on a second front, as Wall Street expands a revision of financial contracts worth trillions of dollars. The changes are expected to allow certain securities and funding contracts to remain intact for as long as 48 hours after a bank fails, said three people with knowledge of the matter. The extra time is intended to give a faltering bank’s home government time to jump in and set up a healthy version of the doomed institution, something that’s difficult to do when counterparties have terminated contracts and fled. Bank of England Gov. Mark Carney, who heads the FSB, said on Monday that the TLAC rules make a major failure less likely, because banks’ creditors know they’ll face losses in a collapse. The FSB rules separate the liabilities needed to keep a bank running from purely financial debts, such as notes issued for funding. By “bailing in” the bonds—writing them down or converting them to equity—regulators aim to ensure a lender in difficulty has the resources to be recapitalized without using public money, and to allow the resolved firm to continue to operate. 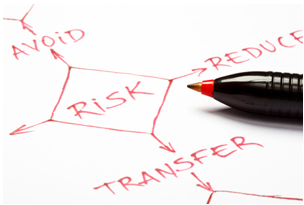 In a departure from previous practice, senior debt issued by banks is explicitly exposed to loss. The hundreds of billions of dollars governments globally poured into banks reeling from the 2008 financial crisis were used as much to rescue lenders’ senior bondholders, whose claims sat alongside and were equal to those of depositors, as to bail out the banks themselves. The situation confronted governments with the choice of risking bankruptcy by rescuing the lenders or allowing the disorderly collapse of the financial system. Carney said in an interview last week that it would take “several years” for banks to “reorganize their capital structure and also their business models” to comply with TLAC, and only then would regulators be in a position to resolve a major global bank. Analysis done by the Basel Committee on Banking Supervision showed that two-thirds of the banks on the FSB’s list are short of their targets for 2019. Those in developed markets had 14.1-percent TLAC at the end of 2014 and need to boost that level by €498 billion in the next three years. Including the emerging-market banks, the shortfall amounts to €767 billion. Banks from the US, European Union, Japan and Switzerland account for the lion’s share of the FSB’s list of systemic institutions. The Federal Reserve moved on October 30 to apply the TLAC standard to eight of the biggest US banks, estimating their total shortfall of long-term debt at $120 billion. Emerging-market banks on the FSB list have until 2025 to meet the 16-percent loss-absorbing capacity target, rising to 18 percent in 2028. This schedule could be accelerated if, “in the next five years, corporate-debt markets in these economies reach 55 percent of the emerging-market economy’s” gross domestic product, according to the FSB. Authorities in some G-20 nations still lack the power needed to be able to resolve a major lender without turning to taxpayers, the FSB said. Along with bail-in, these powers include the ability to prevent counterparties demanding early settling of trades, the power to establish a bridge bank and to impose changes in company structure and management. The regulator gives the US, EU, Japan and Switzerland a largely clean bill of health in its review of the G-20’s progress in implementing measures needed to resolve large cross-border lenders in an orderly manner. Yet, China lacks the majority of the powers it would need should one of them fail, according to the FSB. The extent to which taxpayers can be shielded when major banks fail will depend on how bail-in works in practice. All that stuff about focusing on shareholders? Forget it, says Kazuo Inamori, entrepreneur, management guru and Buddhist priest. Spend your time making staff happy instead. He’s used this philosophy to establish electronics giant Kyocera Corp. more than five decades ago; create the $64-billion phone carrier now known as KDDI Corp.; and rescue Japan Airlines Co. from its 2010 bankruptcy. From Kyocera’s headquarters, overlooking the hills and temples of the ancient capital of Kyoto, Inamori expresses doubts about western capitalist ways. His views are a reminder that many bastions of Japanese business don’t buy into Prime Minister Shinzo Abe’s plans to make companies more devoted to shareholders. The doctrine gained traction, in part because the line between one’s work and personal life is more blurred in Japan than the US. Not all of Inamori’s tactics are so spiritual. His “amoeba management” system split staff into often tiny units that make their own plans and track hourly efficiency using an original accounting system. His turnaround also cut roughly a third of the airline’s work force, about 16,000 people. While that might not impress some investors, the man himself sees no conflict. If the staff is happy, they’ll work better and earnings will improve, he said. Companies shouldn’t be ashamed to make profits if they’re pursued in a way that benefits society, Inamori has said. He’s the second son in a family of seven children and grew up in Kagoshima, the birthplace of Japan’s last samurai rebellion. headquarters in Kyoto stands a five-floor museum dedicated to Inamori’s life and philosophies. The companies Inamori has led are connected by more than their management approach. Kyocera was the largest shareholder in KDDI as of September 30 with 13.7 percent of voting rights, according to the phone company’s web site. The stake is worth $8.2 billion, almost half of Kyocera’s market value. Kyocera owns 2.1 percent of Japan Airlines, data compiled by Bloomberg show. Hong Kong-based Oasis Management is calling on the electronic equipment-maker to return cash to investors by selling its stake in the airline and “greatly” reducing holdings of KDDI. Kyocera’s shares have risen 48 percent since Abe’s government took power in 2012, compared with an 84-percent gain for the benchmark Topix index. Return on equity, a measure of the profit companies make from shareholders’ capital, stood at 5.8 percent at the end of September, against an average of 8.6 percent for the Topix. Seth Fischer, chief investment officer at Oasis, says this is an outmoded way of thinking. His fund is part of an influx of activists encouraged by Japan’s efforts under Abe to make firms more accountable to stockholders. Inamori’s less-extreme capitalism is a product of Japanese society, which he says, is less willing to accept gaps between haves and have-nots than western economies. Executives have to take that into account, he said. 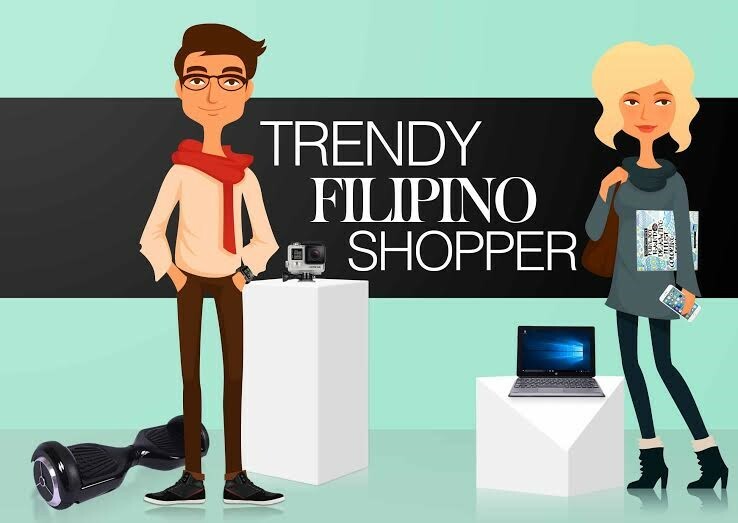 What could the Filipino Online Christmas Shopper Buy Next? The overflowing number of products out in the market makes it almost impossible for Filipinos today to decide what the best ones to buy are. Now that the Christmas season is fast approaching, every consumer is faced with a streamline of options from the latest electronics, stylish clothing, fast moving consumer goods, and even in demand sensational items. 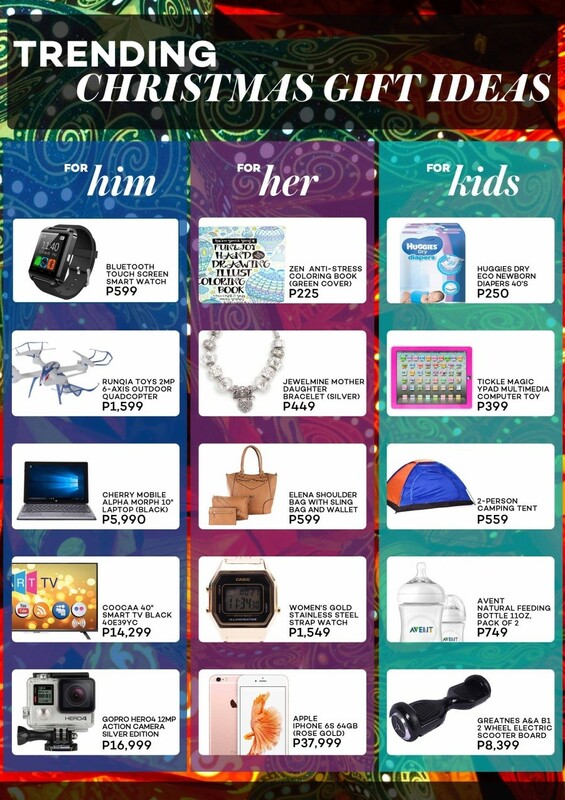 Lazada (www.lazada.com.ph), the Philippines’ One Stop Shopping and Selling Destination, knows the trendiest products out there to be enjoyed by consumers online. In a study conducted by Lazada, Bluetooth watches, GoPro action cameras, laptops, drones and smartphones ranked as the top products preferred by Filipinos to have this Christmas. Filipinos nowadays search for unique finds that are hot, sensational and at the same time worth the money. The infograph below illustrates the rest of the findings. Lazada, with its nationwide delivery, makes these products accessible to Filipinos whether they’re in Luzon, Visayas or Mindanao. What makes shopping at Lazada even more advantageous is that you don’t have to experience the heavy road congestion going to the mall in order to purchase what you want. Also, you can buy products and have them delivered to your friends and loved ones wherever they are in the Philippines. And if you’re still thinking of which products are best to give to friends in other parts of the country, below are Lazada’s best-selling products per region. 55% of Filipinos spend most of their time browsing and researching for products which could potentially catch their interest. In this case, where the consumer doesn’t have anything specific in mind, browsing through categories could help with their purchase decision. Finding the best product within the category list is essential in choosing the right Christmas gift. 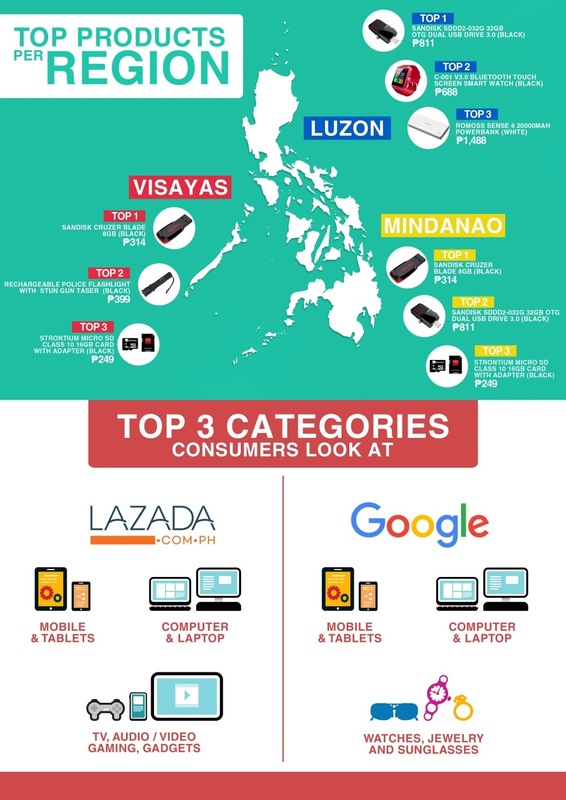 In a comparative research of Lazada, we found out that for both Google and Lazada, the top-searched categories are Mobiles & Tablets and Computers & Laptops. Below are the top categories per platform. Filipinos have truly engaged themselves in the wireless world. 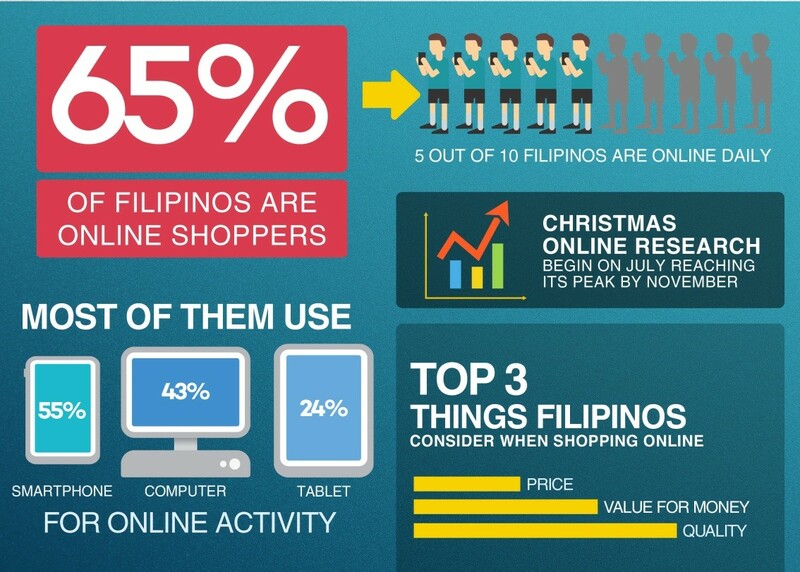 Lifting data from Google, 65% of Filipinos are actually online shoppers. Filipinos have wide access to the internet with 5 out of 10 being online daily. They usually course their online activity through mobile (the highest), followed by computer and tablet. Lazada has an available platform for each of these means to access the internet and the online shopping community. Filipinos start researching for ideal Christmas presents online as early as July and reaches its peak by November. Moreover, Filipinos consider these top three attributes whenever they shop: (1) value for money, (2) price, and (3) quality - all of which are trademarks of what Lazada has to offer to every consumer. Filipinos are truly one of the trendiest shoppers. With all the best products and deals in store for them, it is a matter of choosing the best product to give this Christmas. The Filipino Christmas online shopper is not only the best giver but also awaits to receive the best gifts s/he could get during this most wonderful time of the year. Philippine financial system expanded further in the first half of 2015 due to positive market sentiment that boosted bank incomes despite some structural changes here and abroad, data from the Bangko Sentral ng Pilipinas (BSP) showed. Philippine banking sector -- which makes up 80.8% of the local financial system -- saw its assets grow by 9% to Php11.2 trillion as of end-June as the firms saw double-digit growth in investment and loan portfolios, the central bank said. “Despite the moderation in credit allocation particularly with the real estate sector, the BSP remains proactive in its surveillance and use of macroprudential tools to mitigate the buildup of systemic risks,” the central bank said in a statement yesterday. “The Philippine financial system... remains in a position of strength in the first half of 2015 amid structural shifts in the global and domestic financial landscape,” the BSP said. Net profit of Philippine banks grew to Php68.9 billion in the first half, up by 8.1% from the Php63.7 billion recorded in the comparable January-June period in 2014, marking a recovery from the decline seen the year prior. Income from trading activities provided the biggest boost. “Trading income, in particular, registered a hefty growth of 35.9% on favorable market sentiment during the first semester of 2015,” the BSP said. Loans grew to Php5.4 trillion for first semester, growing by 14.6% from last year’s Php4.7 trillion. Meanwhile, deposits logged a 9% growth rate to Php8.6 trillion, though slower than the 24.5% expansion in the previous year. “Funding profile remained stable with retail and domestic-oriented deposit liabilities continue to be the main source of funds,” the BSP said, citing a “modest” growth in deposit liabilities of banks. The slower growth in deposits was due to the entry of more alternative investment products, such as insurance variables, that offer “more competitive” interest rates than leaving the money in the banks, the regulator said. Despite an increase in lending, banks were able to trim the share of bad debts to their total loan portfolio to 2.4% from 2.7% the year prior. Meanwhile, lenders’ capital adequacy ratio -- which measures their cover against credit risks -- stood at 15.1% on a solo basis and at 16.1% on consolidated basis, well above the BSP’s 10% minimum requirement and the 8% international standard under the Basel 3 framework. Capitalization on a solo basis covers a bank’s head office and its branches, while the consolidated basis includes its subsidiaries. Banks also expanded their services in the first semester, with 638 banks operating 9,890 branches in the country, up from the 9,456 branches in the same 2014 period. More ventured into electronic banking, rising to 268 from the past year’s 245. These services include electronic wallet, cash/remittance products, Internet banking, phone banking, mobile banking and hybrid mobile/internet via BancNet-MegaLink switch banking. “Notwithstanding the sustained positive performance of the financial system, the BSP continues to closely monitor potential pressure points. This is in line with the BSP’s objective of promoting greater financial stability,” the central bank yesterday said. The Philippine banking system is the only industry out of 69 sovereigns rated by Moody’s Investors Service that carries a positive outlook. Last year was the third straight year since 2012 that the sector held that tag from the global debt watcher. Amdocs projects a strong growth in mobile banking in the Philippines as mobile financial services (MFS) are more universally offered or practiced across the country. Amdocs Vice President for Mobile Financial Services Justin Ho said the use of mobile money is a more effective way of reaching the country’s unbanked and underbanked sector. Amdocs, he said, is a market leader in software solutions and services for the world’s largest communications, entertainment and media service providers. He said, “Using MFS is three times cheaper than using a bank branch. The mobile financial service is the way to go. Banks and telecommunication companies can both participate in its success,” he recently said at a news conference on the subject. When asked about regulatory concerns on MFS, he replied, “The Bangko Sentral ng Pilipinas has been inclusive and helpful in terms of providing the right regulation to promote MFS. It’s always open to adopt and welcome new ideas.” He added that the Philippines has a central bank that cares about financial inclusion unlike other central banks in the world He said the MFS penetration in the Philippines is no longer in infancy. “In the next five years, that [MFS] will be mainstreamed,” he said. “Banks of today are more advanced technologically but still siloed. We wanted digital. We provide mobile money. “We have an MFS platform which is the most advanced,” he said. Ho said people can put their domestic remittance in mobile money and use it to pay bills. The salary of certain people may be dispensed via mobile money platforms and the government’s cash-transfer program may also be conducted using electronic wallets. He said such often underserved people like farmers who use so-called electronic wallets can keep track of their digital footprint. He also noted some 25 percent or 28 percent of Filipinos live below the poverty line and that financial inclusion is important to get people above the poverty line. He cited a World Bank report which showed 69 percent of the population are unbanked Filipinos. They patronize loan sharks and pay more than 300 percent for the accommodation. He also cited another survey in the Philippines which showed 38 percent of the Filipinos saying it’s easy to pay cash, 38 percent having privacy issues, while 27 percent do not know how to use the MFS. He said 54 percent of the people surveyed trust banks and that a large chunk or 31 percent said they trust mobile banks. The Bank of the Philippine Islands (BPI) has passed the 1-million mark for mobile-banking users and targets to acquire at least half of the lender’s clients over the next five years. BPI Vice President and Electronic Channels Division Head Carlo Carmelo Gatuslao said 1 million of the 7 million BPI retail clients use the bank’s mobile app at present. He said BPI already exceeded this year’s 40-percent growth target or 800,000 mobile-banking users by year-end. Combined online and mobile-banking users already reached 1.8 million and mobile-banking users alone reached 1 million. “We expect our digital channel enrollment and usage to grow. We will offer more services beyond what we have now. Currently the penetration rate is 35 percent of our customers. Half of the bank’s customers will use electronic banking in five years. We can have half of 7 million bank clients in five years,” he said. He sees further growth in usage of mobile-banking services because of the convenience and efficiency it offers. “With the BPI Express Mobile app, our clients can easily access their accounts and make financial transactions even with the most affordable smartphone. About 32 percent of smartphones users in the Philippines use it for data. In five years, the number of smartphone penetration will double,” he said. BPI Assistant Vice President Frederick Faustino said mobile-banking financial transactions averaged 1.6 million transactions a month totaling Php12.6 billion. The transactions involve cash transfer and bill payments, Faustino said. He said most of the mobile-banking users were aged 20 to 45. BPI’s leadership in Philippine mobile-banking was recently affirmed by two prestigious award-giving bodies in the financial services industry. The Asian Banker recognized BPI for the Best Mobile Banking in the Philippines award and the Bank Marketing Association of the Philippines awarded BPI as Best Electronic Delivery Channel. The award honors the bank with a mobile-banking platform that demonstrates the use of the full range of current mobile device technology for financial transactions and services in the most intuitive and secure manner possible. Earlier in the year, The Asian Banker also named BPI as the Best Retail Bank in the Philippines for 2015. 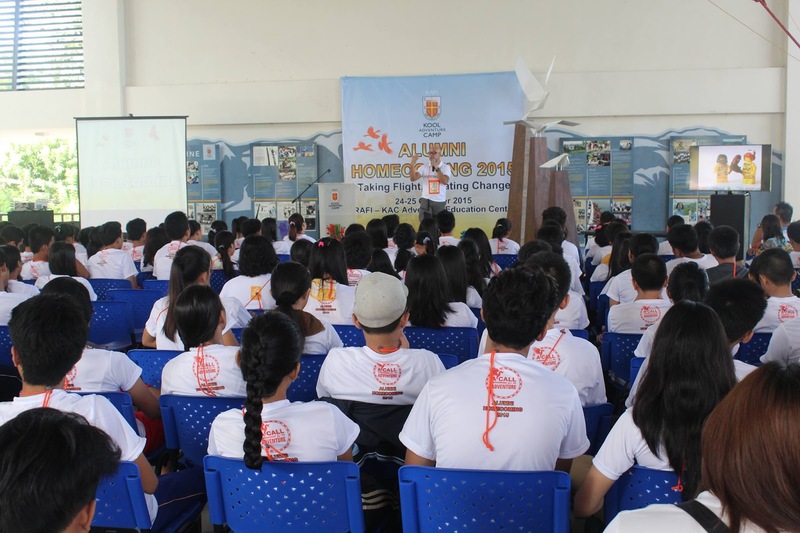 More than 150 alumni of Ramon Aboitiz Foundation Inc – Kool Adventure Camp (RAFI-KAC) gathered to share best practices in the implementation of their school and community projects in the Alumni Homecoming 2015 with the theme “Taking Flight, Creating Change” held in KAC Adventure Education Center, Balamban last Oct. 24 to 25. The projects implemented encompass the areas of education, health, environment, youth and community development, culture and arts. Merliza Ipis, one of the KAC alumni from Toledo Science High School shared that big projects come from small ideas and that is with teamwork every problem can be resolved. The two-day event benefitted the participants to learn from the sharing and discussions from the invited speakers and RAFI’s partners from Luzon and Visayas. Among the speakers were alumni campers Tristan Aboitiz of Pilmico, Atty. Jamaal Calipayan of the City Government of Mandaue, Joe Aperdo of the Alliance of Argawanon Young Leaders, Rene “Tatay Ite” Vendiola of the 5th RAFI Triennial Awards, Tobit Cruz of Angat Kabataan, Elisabeth Baumgart of Ayala Young Leaders Alumni Association, Jerome Muñoz of KAC Operations Support, Atty. Christine Red and Ariel Baquillos both from Timawa (first alumni group of KAC). Resource Mobilization, Stewardship in the Community, Personal Leadership and Creating Change through Environmental Involvement are the topics discussed during the event. “I am very encouraged with the results of KAC. I see the energy and the hands that are really involved. Through the camp, I hope that everyone will no longer be afraid to share and face their fears. The KAC alumni are now in the position to act, to start the change from themselves”, shared RAFI President, Roberto Aboitiz. The participants from the different public high schools, universities and organizations in Cebu City and Cebu Province include Lilo-an National High School, Toledo City Science High School, Talisay City Science High School, Minglanilla National Science High School, Alcoy National High School, Looc Norte National High School, Alliance of Argawanon Young Leaders, Argao Youth Heritage Society, Don Andres Soriano National High School. “I really miss everybody. After 16 years, it is really an honor to be in front of my co-alumni campers and share my KAC experience. The best thing that happened after I experienced the camp is that I realized that I have the power, that I am not a “nobody” but I am “somebody” who can do something and create positive change. I hope all of the KAC alumni will not stop doing change because the camp is not just for the big group but it is for every individual personally,” shared Ariel Baquillos, alumnus from Camp 1 since KAC started in 1999. On the second day of the event, KAC also recognized the People’s Choice Awardees. Minglanilla National Science High School received the Best in Project Display for Exhibit, Best Project Presentation and Best Project Presenter. The People’s Choice Award for Best Project is the school project implemented by Toledo Science High School. KAC has been offering adventure education programs for leadership and team development for youth and professionals for the last decade. It is a program under the Leadership and Citizenship focus area of the Ramon Aboitiz Foundation Inc. (RAFI). It has recently opened the Philippines’ first fully dedicated adventure education center last August 2. For more information on KAC and its services, contact 260-9000 local 1001 and look for Althea May Santillan, or visit www.kac.rafi.org.ph or www.facebook.com/kooladventurecamp. Gotianun-led developer, Filinvest Land, Inc. (FLI) steps up its advocacy to build the Filipino dream with its campaign caravan and property festival today in its hometown, the "Queen City of the South." Filinvest carries on its 'dream-building' mission by presenting its developments to Cebu. The property festival will showcase key projects in Cebu including the exclusive seaside residential enclaves in Cebu's newest lifestyle capital, the 50-hectare City di mare in south road properties (SRP) - the Amalfi and Sanremo Oasis. It also features mid-rise condominium One Oasis at the uptown district of Mabolo, Cebu. "it's never too late to set on a new dream and 'own' it. Just like how our founders, Andrew Sr. and Mercedes Gotianun envisioned their dreams for their family and building dreams for every Filipino," said Tristan Las Marias, senior vice president and Visayas and Mindanao Cluster head of FLI. It was in Banilad, Cebu City where the Gotianun's built their first residential subdivision in the 1960s. Since then, Filinvest has become one of the largest, most-trusted and diversified real-estate developers in the country with over 150 ongoing residential developments in 45 key cities and 18 provinces across the country. "Cebu will always be 'home' to Filinvest. From its humble beginnings in this city, Filinvest has become one of the most-trusted and largest property developers in the Philippines." Filinvest has stregnthened its presence in Cebu with a myriad of developments in residential, office and hotel. These developments include the luxurious condominium project Serulyan Seascape macta, the exclusive residential communities Aldea del Sol, Corona del mar and Mactan Tropics, Cebu Cyberzone office towers in partnership with the provincial government of Cebu, Quest Hotel and Grand Cenia Residences, and Crimson Resort and Spa in Mactan. Inspired by the success story of its founders, Filinvest has launched "I OWN MY DREAM," an advocacy that aims to empower Filipinos to work hard to achieve their dream of a better life and a brighter future for their loved ones to show its commitment to fulfill more Filipino Dreams. "Theirs is a testimony that anyone can achieve their dreams through hard worj and passion. It is the very foundation of how the company came to existence. With this campaign, we want to motivate new generations of Filipino dreamers and doers," added Las Marias. Meanwhile, dream advocate Yap said "he feels honored to be part of FLI's advocacy to touch Filipinos' lives." Yap carved his career in show business quite late than most actors yet he scored numerous acting awards since he starred in a hit primetime TV series. 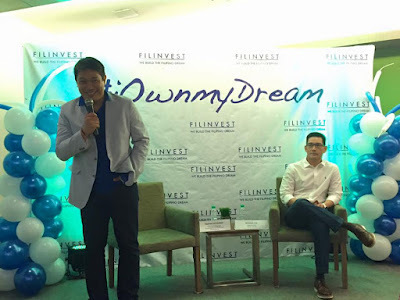 Filinvest believes that Yap personifies I Own My Dream, "because he represents the Filipino Dreamer who is enjoying great success because he dared to pursue his dreams. He is definitely an inspiration that you can carry on a dream at any age," said Las Marias. Home buyers of FLI are up for a surprising treat with its "Joyride to your dream home raffle promo" that gives sixty lucky home buyers a chance to win Php25,000 each in the three monthly raffle draws, and three more winners the chance to drive home their brand-new Toyota vehicles such as Wigo G AT TRD; Innova G DSL MT; or the FJ Cruiser at the grand draw. "Now that they have their dream homes at Filinvest, our home buyers even have the chance to drive a dream car with this new promo," emphasized Las Marias. "With I Own My Dream campaign and Joyride to your dream home raffle promo, we wish to give back to the community, and continue to inspire a nation that time and again, have showed the world its tenacity and perseverance despite challenges in achieving their dreams. Filinvest shall continue to dream with you and build dreams for every Filipino," said Las Marias. Bank of the Philippine Islands (BPI) is setting a new trend in banking with its Make the Best Happen campaign. Over and above offering its range of products and services, BPI first of all wants to support its clients by helping them focus on their life aspirations. BPI, the first bank in the Philippines and in South East Asian region, has a wide range of consumer, corporate, and investment banking products and services. In a statement, Cezar P. Consing, BPI President, said the bank wants to focus on needs-based financial planning where individuals make decisions based not on returns but on the goals they want to achieve. The process begins with helping clients identify their life needs and goals and then create a priority list based on those aspirations. Clients are then encouraged to make personal financial assessments, computing, among others, one's net worth, cash flow requirements, and even emergency funds. Based on this initial assessment, BPI helps clients create a game plan, mindful of their budgets, goals, risk profile and investment options. "BPI empowers Filipinos to make the best of their lives happen through its innovative and accessible financial solutions," Consing said. "We strive to know and understand the individual circumstances and financial needs of our clients, then offer financial advice. Only then do we propose certain solutions that are suitable and customized for each and every client." 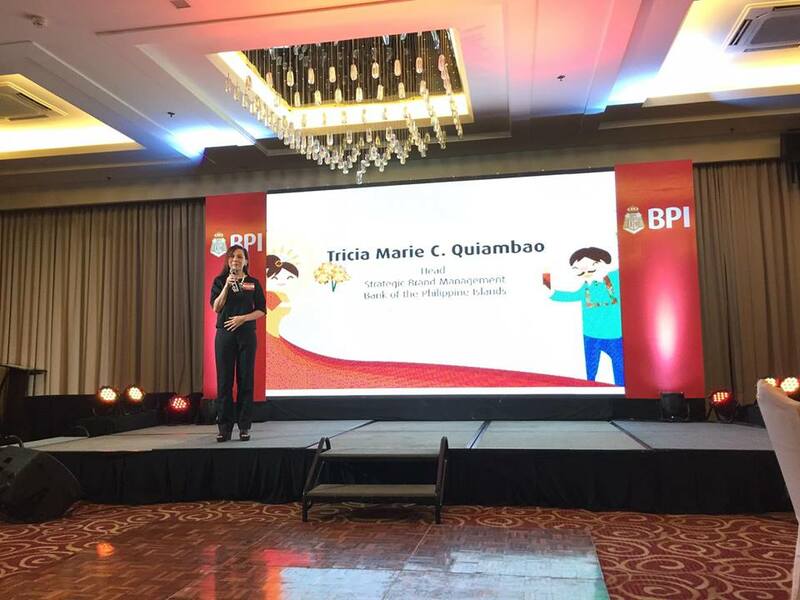 Tricia Quiambao, Head of BPI's Strategic Management, said BPI's Make the Best Happen campaign is a different look on banking. "We put a premium on understanding our clients and their needs, whether it's to travel, or start a business, or fund their children's education," she said. "As people become more and more aware of the world around them and the many possibilities and opportunities it offers, BPI would like to enable them to accomplish those goals and aspirations better, faster and more efficiently." Rally Jereza, BPI Division head for Visayas and Mindanao,a dded: "Cebu has been a hub of out-of-the-box thinking, and BPI feels right at home with our trendsetting solutions. With Make the Best Happen, we aim to expand the conversation with our clients and friends, beyond solutions and into actual life and lifestyle choices." The microsite devoted to the Make the Best Happen campaign - makethebesthappen.ph - addresses some of the top life and lifestyle goals of most individuals: travel, health, parenting, shopping, future, and dining. Its content is enriched every week with updated content derived from current areas of interests. AXA Philippines is acquiring Charter Ping An for Php2.3 billion, marking the consolidation of the Ty family’s life and non-life insurance businesses under one operation. The transaction, which will allow AXA Philippines a joint venture between GT Capital Holdings Inc., leading global insurance group AXA and Metropolitan Bank & Trust Co. to own 100 percent of Charter Ping An, is subject to customary closing conditions, including the receipt of regulatory approvals. “By consolidating its life and non-life insurance businesses, GT Capital further strengthens its presence in the country’s underpenetrated yet fast growing insurance industry. We will clearly benefit from the global insurance expertise of AXA, the local market knowledge and network of Charter Ping An, and the cross- selling opportunities among our component companies,” said GT Capital chairman Francisco C. Sebastian. The deal is expected to be completed in the first quarter of 2016, GT Capital said in a disclosure to the Philippine Stock Exchange. “Until then, all operations of Charter Ping An and AXA Philippines will be business as usual and shall remain separate, as they currently are,” GT Capital said. The move will allow AXA Philippines, the second life insurance company in the country, to expand into property and casualty insurance. Charter Ping An is currently the fourth largest non-life insurance company in terms of net premiums written and premiums earned. AXA Philippines has been operating in the country since 1999, focused on the life insurance business and providing solutions for savings and investments, health, education, income protection, and retirement. It pioneered bancassurance operations in the Philippines, which is the distribution of insurance products through banks. “We are very excited about this development, as now we can offer our customers a complete suite of protection products. From protecting themselves, their loved ones, their financial hopes and dreams, and now even their hard-earned assets and properties, we at AXA can be more present in their lives, “said AXA Philippines president and CEO Rien Hermans. “With the entry into non-life insurance, we see AXA Philippines building on the top five position of Charter Ping An and definitely become a major player and be a top three company in a few years,” Hermans added. AXA is ranked as the number one global insurance brand for seven consecutive years, from 2009-2015. According to the 2015 Fortune Global 500 list, AXA is the 20th largest corporation and 29th in the 2015 Forbes Global 2000 rankings. At present, AXA Philippines has more than 630,000 insured. AXA Philippines has more than 2,100 financial advisers in 32 branches and 500 financial executives in over 750 Metrobank and PSBank branches nationwide. GT Capital is a listed major Philippine conglomerate with interests in banking, property development, power generation, automotive assembly, importation, wholesaling, dealership, and financing, and life and non-life insurance. It is the primary vehicle for the holding and management of the diversified business interests of the Ty family in the Philippines. Federal Reserve (the Fed) Chairman Janet Yellen said last Wednesday that an interest-rate hike in December is a “live possibility” if the economy stays on track. Yellen described the US economy as “performing well” right now, with solid growth in domestic spending. At their meeting last week, policymakers believed that the threat of global headwinds had ebbed, Yellen said. At its December 15 and 16 meeting, the Fed will consider raising a key interest rate from a record low near zero if the economy continues to grow at a strong enough pace to keep adding jobs and push annual inflation toward the Fed’s 2-percent target, Yellen said. Yellen stressed that no decision has been made yet, and a move in December will depend on how the economy fares between now and then. She reiterated that when the Fed does start raising rates, it will do so gradually. She said she understood that “there is a great deal of focus” on the timing of the Fed’s first rate hike in nearly a decade. But she said the more important focus should be on the pace of rate hikes after the Fed decides to move. The main topic of the committee hearing was banking supervision and regulation. On that subject, Yellen said that the country’s largest financial institutions are still falling short of managing the types of risks that led to the 2008 financial crisis. While Yellen acknowledged progress in making the financial system more resilient to shocks, she expressed concerns about the “substantial compliance and risk-management issues” at the institutions. “Compliance breakdowns in recent years have undermined confidence in the [banks’] risk management and controls and could have implications for financial stability, given the firms’ size, complexity and interconnectedness,” Yellen said. The group includes the eight largest banks in the US, a number of major foreign banks operating in the US and several large institutions that have been judged systemically important. Republicans on the House committee have been critical of many of the regulatory changes the Fed is undertaking to implement the 2010 Dodd-Frank Act. Committee Chairman Jeb Hensarling, Republican-Texas, criticized the Fed for failing to provide enough details about the annual stress tests it conducts on the biggest banks to ensure they can withstand a severe financial downturn. He told Yellen he had great concern about “how opaque and nontransparent” the stress tests are. Yellen said that the Fed tries to provide banks detailed information about the methodologies it is using to structure the tests each year. The Fed’s overriding goal is to make sure that it has sufficiently addressed the kind of problems that lead to the 2008 crisis, the worst financial crisis in the US in seven decades, Yellen said. “We have made changes in our supervision that now allow us to supervise large financial institutions on a more coordinated, forward-looking basis,” Yellen added­. The Bank of the Philippine Islands (BPI) aims to expand microfinance lending by targeting the bottom market through the country’s first mobile phone-based savings bank, BPI Globe BanKo. Former BPI Globe BanKo President and CEO and now the Mynt President and CEO John Rubio said BPI is accelerating its third leg, BPI Globe BanKo, to widen its bottom market reach. “We have a big market base in microfinance business. They wanted to go to the specific model in microfinance based on the success of our segment. They have great brands, BPI and BPI Family, and there’s a viable way to reach the base of the pyramid through Globe BanKo,” he said on the sidelines of the Mondato Summit Asia. He said Globe BanKo’s total deposits reached Php1.1 billion in August. Total loans expanded to Php180 million, from last year’s Php100 million. The mobile-based bank has 1.1 million clients. BPI will increase its touch points. Currently we have five bank branches. BPI’s plan is to expand them,” he said. Rubio said they do not want to compete with commercial banks and that Globe will be accelerating its business in the digital platform. He did not divulge the acquisition cost, but he said that sales proceeds were used by Globe to set up Mynt, the financial technology innovations arm of Globe Telecoms. With Mynt, they will be able to serve the underserved and unserved markets in a different way. “The proceeds from the sale were reinvested back to financial technology business. That’s why we have Mynt. We have the G-Cash transactions and other business in the pipeline like payments, scoring and other financial technology business,” he told reporters. With the acquisition of BanKo, BPI underscores its commitment to inclusive growth. Ayala Corp. CEO and Chairman Jaime Augusto Zobel de Ayala said BPI’s assumption of full control and ownership of BanKo is an important step in the continued effort of the Ayala group to provide access to essential financial services to the unbanked segments of our population. “BPI will now be properly positioned to pursue traditional microfinance lending within existing regulatory frameworks,” he said. “We thank our partners for giving us yet another opportunity to give access to funds and other banking services to clients who, otherwise, would not have been able to bridge their personal financial needs and jump-start their ventures,” BPI President and CEO Cezar P. Consing said. Taking advantage of great deals, discounts and sales can be good from time-to-time, hence I am sharing this opportunity with you! 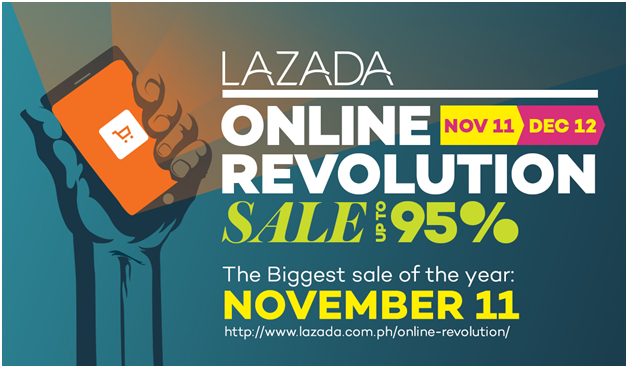 Lazada Philippines (www.lazada.com.ph) the Philippines’ One Stop Shopping and Selling Destination today announced the launch of the Lazada Online Revolution Sale which is set to be the biggest online Christmas sale of the year. The month-long sale kicks off on November 11 and will run until December 12. This year, Lazada Philippines expects to break new records as it anticipates over 2 million visits to its website and mobile app on 11/11. Big brands and merchants will join the sale and are bringing in over 200,000 marked-down deals up to 95% off across 13 product categories including electronics, fashion, kids & toys, and home. Exclusive items on flash sales and P99 peso deals will also be revealed on 11/11. Brands that have confirmed their participation in the sale include ASUS, Lenovo, Alcatel, Cherry Mobile, Bosch, Belo, Huggies, MamyPoko, Timex and Giordano watches. As an early treat for Lazada fans and shoppers, special items will be available to purchase at only P11 each. Lazada bestsellers such as Sandisk 8GB flash drives, 5600 mAHPowerbank, and 4-layer shoe racks will be available to purchase at P11.00 starting today until 11/11. The P11.00 deals will be announced at 11:11am everyday on one of Lazada’s social media channels (Twitter: lazadaph, Facebook: lazadaph, Instagram: lazadaph). In July, Microsoft introduced Windows 10 as a free upgrade for eligible Windows 7 and 8.1 devices or with new PCs and tablets.Dubbed the best and most secure Windows ever, Windows 10 is now delivered as a service and kept automatically up-to-date with innovations and security updates. It is built on the feedback from millions of IT pros, making it the most extensively tested version of Windows ever. Windows 10 is fast and familiar—with the return of the Start menu and Live Tiles for instant streaming updates of what matters most. It is the most secure Windows that Microsoft has ever released, with enhancements to Windows Defender and SmartScreen to help safeguard against viruses, malware and phishing and new innovations like Windows Hello, which offers a fast, secured, password-free way to log in. Keeping up-to-date is also simple, as free updates will help people stay current with the latest features and security updates for the lifetime of the device. Microsoft Edge lets people quickly browse, read, and mark up and share the Web.Fast, streamlined and personal, the all-new browser empowers people to focus on content that matters to them and actively engage with the Web. Continuum optimizes apps and experiences beautifully across devices in both touch and desktop modes. Built-in apps including Photos; Maps; Microsoft’s new music app, Groove; and Movies and TV offer entertainment and productivity options. With OneDrive, files can be easily shared and kept up-to-date across all devices. Office Mobile apps for Windows 10 tablets will offer a consistent, touch-first experience across a range of devices. The full feature OneNote app also comes pre-installed with Windows 10. Together with the latest Office desktop apps, Windows 10 offersthe richest feature set for professional content creation. Designed for the precision of a keyboard and mouse, these apps will be optimized for large screen PCs, laptops, and 2-in-1 devices like the Surface Pro. Ready for corporate deployment, Windows 10 will help companies protect against modern cyberattacks, deliver experiences employees will love and enable continuous innovation with a platform that keeps companies up-to-date with the latest technology. Businesses will be able to control the frequency of their updates and select the features and functionality that are right for each group of their employees. Windows 10 includes built-in enterprise grade security, so customers can replace passwords with more secure options, protect corporate data and corporate identities, and run only the software they trust. New management and deployment tools simplify device management, help lower costs, and enable companies to power their business with the enterprise strength of the Microsoft Azure cloud. Modern mobility: With familiar and latest Office 365 apps now available on Windows 10 mobile, users can get work done anywhere, anytime on their preferred device. Modern collaboration: Enterprises can get access to enterprise-grade online tools that enable sharing all documents and co-author in real-time. Office Delve, now available to all Office 365 for business users, proactively highlights key information that is relevant to users based on tasks and colleagues they work with closely. Office 2016 now also features Co-authoring which enables users to collaborate through real-time typing that allows seeing others’ edits as they happen. Modern meetings: Skype for Business, a communications and collaboration platform brings together an experience inspired by Skype with enterprise-grade security, compliance and control. 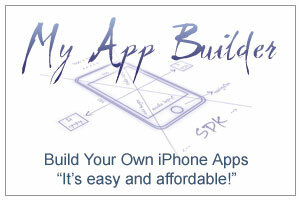 It offers features including presence, IM, voice and video calls, and online meetings. In addition, the new Office features Skype in-app integrationacross the rich client apps allows IM, screen share, talk or video chat right in the docs. Security and controls:Microsoft’s commitment in building a trusted cloud ensures that company data is protected. In addition, Office 2016 users will receive new features for better enterprise security and protection, including Built-in Data Loss Protection, Multifactor authentication and Enterprise Data Protection. “Windows 10 is designed to empower people to achieve great things and to deliver a more human way of doing. 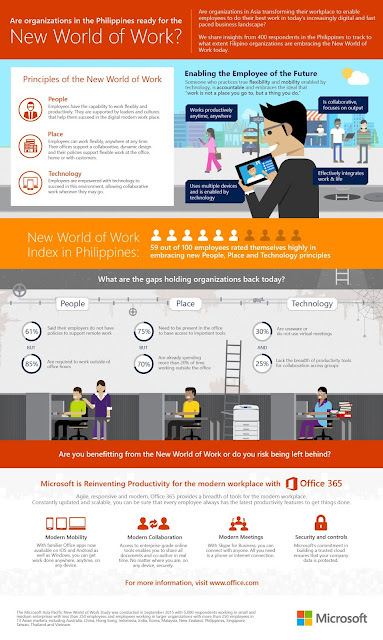 Furthermore, it builds on our vision of offering our consumers a more personal and natural computing experience that offers unmatched mobility and a tailored experience across devices,” said Mae Moreno, Windows Lead for Microsoft Philippines. Dream big, work hard, stay focused - and you might just end up achieving your goals, and significantly changing the Philippines, says former domestic helper who did just that. |The future of the Philippines is you. If anyone can be successful, you can," Rebecca Bustamante, founder of Chalre Associates Executive Search, told 90 of the country's top college students at the 10th Aboitiz Future Leaders Business Summit (AFLBS) at Marco Polo Plaza Cebu last November 6. "My promise to you: If I can do it, so can you. It doesn't matter where you start," added Bustamante, who is now also president of the Asia CEO Awards, the country's largest business awards event. Bustamante is known for her compelling life story which saw her rise from being a domestic helper in Singapore to chief executive officer of her own company, thanks to her sheer determination and resolve to succeed. 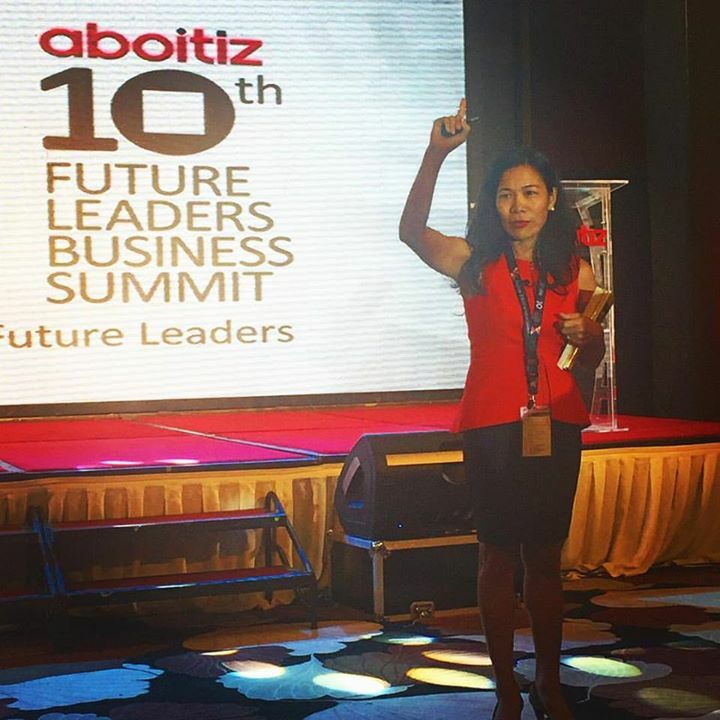 During her talk at the 10th AFLBS, Bustamante offered eight (8) ways to earn a career advantage: gain knowledge, gain top place, gain control of money, gain relationships, gain good work habits, gain a positive attitude, gain personal energy, and gain the right career. Every year, the AFLBS gathers the country's brightest college student leaders for a two day summit of fun and knowledge through activities that allow participants to develop their leadership skills and learn how to concretize management concepts in a corporate environment. This year's AFLBS carried the theme "Inspiring Leaders for a Better Future." On the summit's first day, top Aboitiz executives from different Aboitiz business units shared their knowledge, experience, and philosophies that reinforce high hopes for the country for these future leaders. On its 10th year of building young talented leaders, the AFLBS reaches a significant mileston in preparing and empowering the youth to be change makers in their chosen field of profession, and in society in general. |In Aboitiz, people are our greatest assets, which means that human resources holds a key role in the organization - that of finding the right people to occupy the right positions and motivating them to excel and be the best at what they do," shared Txabi Aboitiz, Aboitiz Equity Ventures, Inc. Chief Human Resources Officer. "We look for people who are driven, energetic, and results oriented, who seek innovative solutions in their day-to-day work. We want people who are passionate about succeeding, and like to excel in everything that they do," Aboitiz added. Aboitiz Equity ventures, Inc. (AEV) is a publicly listed holding and investment company of the Aboitiz Group with major investments in power, banking and financial services, food, land and infrastructure, AEV is recognized as one of the best-managed companies in the Philippines and in the region, and is acknowledged for its good corporate governance. Two insurance consortia are poised to bag deals for the country‘s public utility vehicles (PUVs), sealing their foothold over a market that will likely exceed 400,000 units in three years due to online ride-hailing applications. “Four consortia filed for accreditation yesterday and two of them submitted complete documents based on our approved instructions: those led by Passenger Accident Management and Insurance Agency, Inc. (PAMI) and SCCI Management and Insurance Agency Corp.,“Land Transportation Franchising & Regulatory Board (LTFRB) Chairman Winston M. Ginez told the House Committee on Metro Manila Development yesterday at the House of Representatives. PAMI‘s lead insurance company is UCPB General Insurance Company, Inc. while SCCI is with Allied Banker‘s Insurance Corp.
“Two other groups wanted to participate, but their boxes weren‘t opened because of incomplete documents. 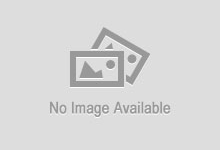 These are managed by Paramount General Insurance Corp.; and High Definition Technologies, Inc.,“he added. Mr. Ginez added that they can file a motion for reconsideration within five days. PUVs and online-based transport providers should have insurance but it can only be provided by firms that are accredited under the 2015-2018 Passenger Personal Accident Insurance Program (PPAIP). “The number of units is around 400,000. It might also exceed [that level] because the number of TNVS (Transportation Network Vehicle Service) is increasing,“Mr. Ginez said in an interview in the same venue. “It depends on the consortia‘s marketing skills and how they will operate [to attract clients]. It‘s a free market,“he added. The LTFRB board increased the death benefit of a passenger, driver or conductor to Php200,000 from Php150,000, “as well other benefits for bodily injury.“It also hiked each consortium‘s claim fund to Php40 million from Php30 million. “This is to ensure that all claims for death benefits and other injuries will be paid by LTFRB‘s accredited insurance providers even if the latter‘s operations will not be able to honor such claims,“the agency said in a statement yesterday. It said there will be no increase in premiums for all PUVs, except buses. The accreditation process is to ensure that all passengers are covered by reputable insurance companies ready to meet whatever claims arise, Mr. Ginez said. The enhanced 2015-2018 LTFRB PPAIP will take effect on Nov. 17. The Philippines’ insurers reported a net income aggregating Php20.41 billion in the third quarter representing an increase of 65.8 percent compared from year-ago. The Insurance Commission said that based on the quarterly reports by both life and nonlife insurance companies, the insurance industry’s ramped up rise in net income in the January to September period was due to increases in income from their underwriting activities and from their investment activities. Last year the net income of the life and nonlife insurance companies combined amounted only to Php12.31 billion. This is somewhat good since there is an increase in the PH population's purchase of insurance though it isn't clear yet whether these premiums are from new buyers or additions from the already insured. The Total combined premium collection by the life and nonlife insurance companies amounted to Php172.40 billion from its previous total of Php132.87 billion for the same period last year. It's not just life insurance but also non-life insurance as well that experienced an increase! Total investments by the insurance industry also increased by 19.10 percent, amounting Php952.13 billion as of September, up from the Php799.44 billion in investments during the same period last year. The industry’s total assets or resources stood at Php1.09 trillion, up by 10.10 percent year-on-year from the P0.99 trillion registered in September 2014. The total net worth of the entire insurance industry is Php195.39 billion as of end-September, up by 6.05 percent from the previous net worth last year which was only Php184.25 billion. The nonlife insurance industry, on the other hand, posted a whopping 122.09- percent increase in its net income, earning Php3.62 billion during the first three quarters of this year from the previous net income of only Php1.63 billion for the same period last year. Insurance Commissioner Emmanuel F. Dooc said that 2015 promises to be the best year ever for the insurance industry in the Philippines, as indicated the above mentioned figures with three more months to go. “This year, the insurance industry shall surpass its highest premium production of P198.1 billion total premium recorded in 2013. The year 2015 promises to be the best year ever for the insurance industry in the Philippines,” he said in a statement. Private bank economists and Lenders continued to project still lower inflation for the year, as the growth of consumer prices, particularly on food and oil, remain muted in the third quarter. In the Bangko Sentral ng Pilipinas’s (BSP) most recent survey of private economists, the average forecasts of 28 of their members showed a lower mean rate of just 1.7 percent for 2015, or lower than an earlier average forecast of 2.3 percent. “The analysts attributed their lower inflation expectations mainly to lower international food and oil prices,” the central bank said. “These are likely to outweigh the upside risks brought by the El Niño phenomenon, the possible US Federal rate hike, increased expenditure from the upcoming election, holiday spending and the normalization of oil prices,” it added. The private economists’ forecast is below the government’s target, ranging from 2 percent to 4 percent for 2015. Also, based on the probability distribution survey by the BSP on the same set of economists, there is a 62.8-percent chance that inflation will fall below the target range for the year. For next year, the economists forecast inflation to average 2.7 percent and higher to 2.9 percent in 2017. Both rates are lower than earlier forecasts but well within the government target range of 2 percent to 4 percent. At present, the average inflation in the first nine months stands at 1.7 percent. BSP officials said they expect inflation to pick up in the last quarter of the year due to the impact of the El Niño weather disruptions on the agricultural sector. An agricultural group on Tuesday urged the Philippine government to increase the budget for crop insurance by tenfold to Php16 billion to help farmers recoup losses from natural calamities. The Samahang Industriya ng Agrikultura (Sinag) said the budget of the Philippine Crop Insurance Corp. (PCIC) should be increased so it can cover all rice farmers. Sinag also said an “accountable and transparent” system of government insurance must be in place. “It is already unfortunate that PCIC’s budget is small, but it is shameless if the allocated budget does not even reach the hands of the real beneficiaries,” Sinag Chairman Rosendo So said in a statement. Sinag said PCIC’s budget for 2016 is at Php1.6 billion and covers over half- a-million farmers—representing just over 5 percent of the 11 million Filipinos employed in the agriculture sector. “In this period of extreme climate hazards and unusual weather events, subsistence farmers and artisanal fishers have to cope with an increasing and more frequent crop losses; government should and must provide guaranteed and automatic risk coverage to all rice farmers and other small producers,” So said. According to Sinag, the premium of subsidies provided by other countries to their agriculture sector in the last five years is on crop insurance. The group said even the US government has doubled its support to rice farmers—from an annual average of $128 per metric tons (MT) in 1986 to 1999 to the current $356 per MT, or around Php16,000 per MT. The bulk of these subsidies is for agricultural risk coverage, Sinag said. In Thailand rice farmers can receive insurance coverage of around Php5,000 per hectare. Sinag said recent studies revealed that the incidence of extreme weather will increase, and will have an increasing influence on agricultural production. The group said other Asian countries are adjusting their budget and policies to combat the impact of climate change on the agriculture sector. “Ang crop insurance at risk coverage ang dapat pinagtutuunan nang pansin at suporta ng pamahalaan dahil sa mas malalakas at mas madalas na mga bagyo at iba pang mga kalamidad na tumatama sa bansa, ito na ang bagong kaayusan,” So said. In the absence of any comprehensive crop insurance and agricultural risk-coverage programs from the government, Sinag said rice farmers from rice-producing provinces, such as Nueva Ecija, Pangasinan, Pampanga and Isabela, are forced to sell their slightly damaged palay to as low as P10 per kilogram. Sinag is also calling on the National Food Authority (NFA) to immediately start buying palay to force private traders to also increase their buying price. The mandated support price of the NFA is Php17 per kilogram. “Dapat din bilhin ng NFA ang lahat ng pupwede pang mapakinabangan na palay para kahit papaano ay may mabawi ang mga magsasaka nating sinalanta ng bagyo,” So said. The government should waive irrigation fees imposed on rice farmers and provide subsidies for seeds and farm inputs to help rice farmers to replant immediately, Sinag said. “Instead of justifying the need for another round of rice-importation bonanza that are only helping the rice industry of other countries, we appeal to the government to provide all possible incentives to help our rice farmers recover from Typhoon Lando,” Sinag said. Sinag said the amount of money to be used in importing additional rice should instead be rechanneled to subsidize seeds, farm inputs, irrigation and insurance coverage of our rice farmers. BPI Family Savings Bank, the thrift banking arm of the Bank of the Philippine Islands, is seeking to expand its lending portfolio by 15% next year on the back of strong growth seen in the provinces and as mortgage and auto loans are seen to drive the growth. The bank is currently “tracking Php200 billion” in loans and it targets to “cross” that level by yearend,” BPI Family Savings Bank, Senior Vice-President, Retail Loans Cristina L. Go told reporters in a briefing yesterday. “Our numbers show really fast growth in the last five years, which mirrored -- double the size of retail loans... [for] 2016 we’re still targeting 15% loan growth,” Ms. Go said. BPI Family ended 2014 with a Php173-billion loan portfolio, accounting for 25% of BPI’s total loan portfolio. As of the first half, BPI Family’s retail loans were already up 20% with 54% or Php107 billion of the total coming from housing loans. “Growth is more broad-based with loans more affordable -- housing, micro enterprises, auto dealership... in value, housing loans are big but in terms of volume, auto dealerships is higher,” Ms. Go said. She noted that Php60 billion or 30% of the Php200-billion loan portfolio target for 2015 will come from provincial, attributed to real estate development booming outside Metro Manila, car dealerships rising in provinces and small and medium enterprises “more alive” in the countryside. “We’ve seen growth in provincial -- at 25% -- outpace the general Metro Manila area, which is at 15-18%,” Ms. Go further said. The bank continues to be “positive and optimistic” given the country’s current scenario where “forecasts are very positive” and as overseas Filipinos “have more propensity to avail of house, car, and business [loans], she added. “Home, car and business are their top priority in investments. They’re hoping to come here, retire here.” BPI Family has around 180,000 clients. Moving forward, Ms. Go said BPI Family plans to put up 19 branches, mostly in areas outside Metro Manila to service the growing market in the provinces. The thrift arm of Ayala-led BPI currently has 185 branches. Earlier, BPI Family Savings Bank President Natividad N. Alejo said putting up a single branch is estimated to cost the bank about Php8-10 million. BPI Family’s listed parent BPI posted Php9.3 billion in net earnings in the January to June period, up 16% from the year-ago level of Php8 billion. Shares in BPI closed at Php86.10 each yesterday, up 50 centavos or 0.58%.